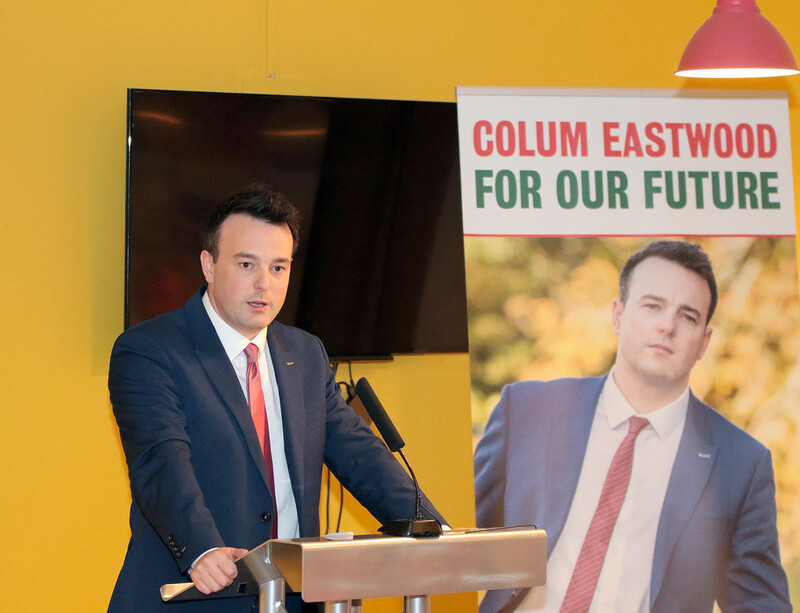 I FIRST encountered Colum Eastwood when he was Mayor of Derry. My son was over from London for some charity-related awards in Derry’s Guildhall, and I remember being impressed and puzzled by Mr Eastwood. Impressed by his warm and easy manner, puzzled as to why a young lad like him wasn’t out having a livelier time than pressing the flesh and saying nice things about all involved that evening. Since then Colum has become leader of the SDLP, which clearly cheered just about everybody in the party except Alasdair McDonnell. And he’s finally got his teeth into a piece of meat that he no doubt hopes will enhance his party’s reputation in the eyes of the electorate, given that May elections loom. The piece of meat in question is Theresa Villiers. The British Secretary of State is campaigning for a Brexit – that Britain should vote to leave the EU at the next election. Her party leader David Cameron is vigorously opposed to this notion, so there’s clearly division within the Tory Cabinet. And incidentally, isn’t it odd that the British media don’t give the same attention to the fragmented Tory Cabinet as they do to the fissure in Labour’s Shadow Cabinet? Right in one, Colum. A Brexit would be bad news, because, like it or loath it, Ireland’s relationship with Europe is a valuable one. It ends the fixation with Ireland’s relationship with Britain and offers a bigger market and a wider vision of the world. If Britain left the EU, we in the north would find ourselves with a reinforced border, which apart from the target it would offer disaffected republicans, would put a handbrake on trade between north and south. But while Colum’s short/medium term thinking is sound enough, his long-term vision is Specsavers poor. If the in-out referendum results in British withdrawal from the EU, that will deepen the division between Britain and Scotland. The wishes of the Scottish people will be seen to be starkly at odds with the wishes of the English people. And if that doesn’t trigger a fresh Scottish referendum on independence, then Christine Lagarde is my glam auntie. Which would mean? A lot of things. Whither the promotion of Ulster-Scots here? Whither the future of the UK, especially if a majority of people here vote for staying in? With the biggest part of the union, Scotland, wrenched free, the UK will be like a man with a leg lopped off, staggering around bewildered. It’d only be a question of time before the UK took to its death-bed and England decided to look after England’s interest. Young Colum, then, would appear to have made at least two miscalculations. The first is that he appears to believe the British Secretary of State normally has the interests of our sad little corner at heart. No she doesn’t. She’s the British Secretary of State and she has the interests of Britain at heart. Colum’s second miscalculation is his failure to look beyond the immediate problems a Brexit would pose. Certainly the immediate problems would be dire as he says; but the long-term consequences of a fragmented UK could play straight into the hands of those concerned for Irish unity.